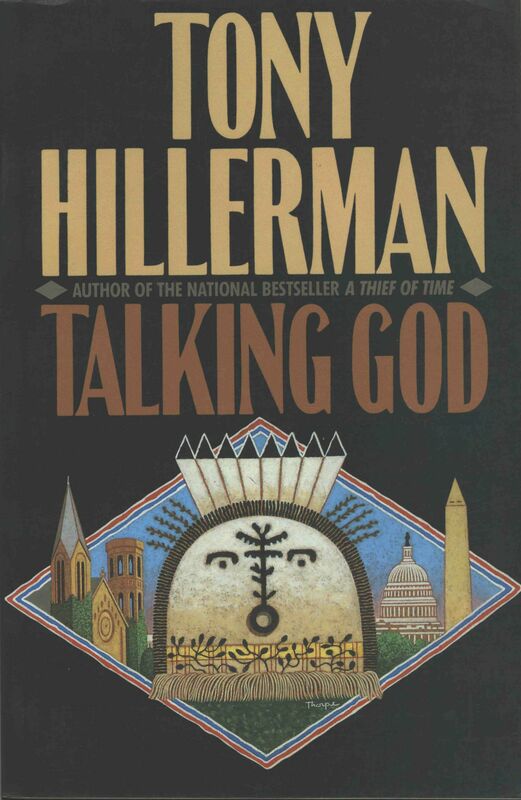 This is the full and detailed views of the cover of the first paperback edition of Talking God, published in 1989 by Harper & Row in New York. The design from the first edition dust jacket, created by Peter Thorpe, is reused here for the paperback cover. 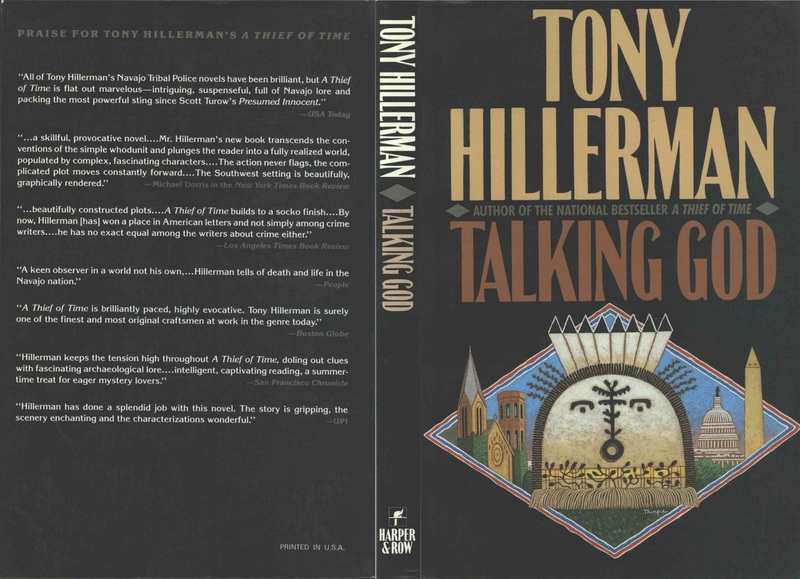 Peter Thorpe has designed and illustrated over 40 Hillerman editions and his work has become the iconic imagery associated with Hillerman's novels. The cover features the pictorial representation of Talking God in the center with Washington D.C. buildings and monuments to either side. Unlike many Hillerman novels, a great deal of the book takes place in Washington D.C. rather than in the Southwest.